Pedestal mailboxes are a great alternative to typical plain looking metal mailboxes. They often look nicer, are more secure, and durable. They are built to last in all weather conditions and can hold up in a lot tougher conditions than plain sheet metal mailboxes. The definition of a pedestal mailbox is pretty broad. It means any box that mounts to a flat surface. This can include apartment mailboxes, residential, or businesses. However typically they are heavy duty boxes that are for residential areas that take up a classic look. 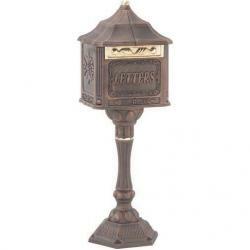 Typically a pedestal mailbox is fabricated out of metal, cast iron, or other long lasting materials. They’re more secure because rather than have a keyless door on a hinge, they require a key to open. This is ideal for people seeking peace of mind in knowing their mail isn’t tampered with. 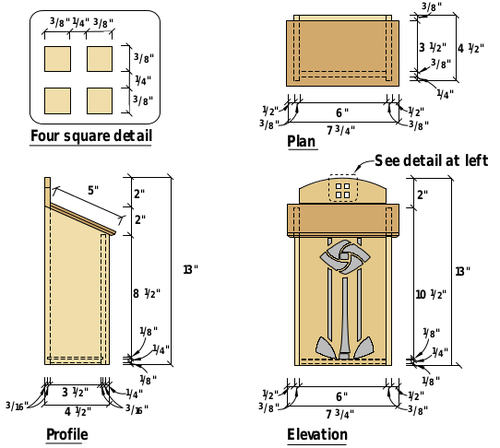 A pedestal mailbox will look good near the curb or even on your porch. Installing one is simple; all you need is four bolts to secure it to your base. A base is simply a flat surface that it can be mounted to. Your base is typically concrete, but can be mounted to wood or even brick. I like these mailboxes because they often come in classic looks. Some take on the appearance of aged copper, while having an antique look. They look nice on houses that have a rustic or aged look.